I seriously just love Black Friday so much! I've already done all my electronics shopping but I still have to get some more clothes!! 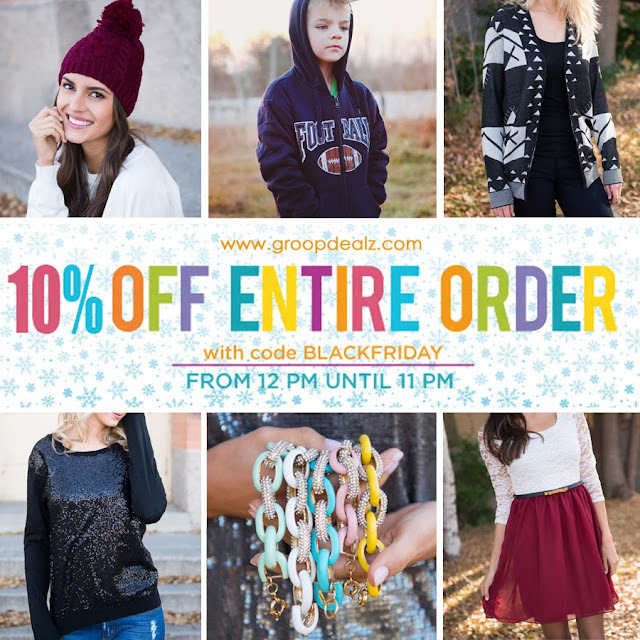 I can't pass on all the amazing Black Friday finds, I love all the amazing sales and deals, and Groopdealz is offering some pretty amazing deals! They have some seriously adorable stuff right now that I want and that I'll probably end up getting! Like this necklace, these boots, this heart sweater, and these holiday leggings! And not only is everything already discounted but they are offering an additional 10% off!! Just use the BLACKFRIDAY. Its such great deal! Y'all need to check out their site and get some stuff for yourself, you deserve it:) Happy Shopping! !